Modern women’s tank tops are more versatile than ever, including the Bella + Canvas 8838 Women's Slouchy Tank. Moving well beyond yesterday’s breakable, flimsy spaghetti straps, the straps of this women’s tank have a delicate, feminine appearance, but are wide enough to offer support, cover your bra straps, and layer well under other shirts. These transition into a flattering scooped neckline that provides adequate coverage, balanced by a loose, flowing body that flares from the bustline. This means all the right curves gain attention and you get to select a comfy, solid tank top to live in daily. 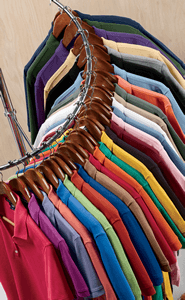 With a variety of colors to choose from, you are sure to find the slub, heather, mineral wash, solid or tri-blend fabric that finishes your wardrobe. Each of Bella + Canvas’s color choices are made from fabric blends that provide you with optimal softness of hand without compromising quality of construction.